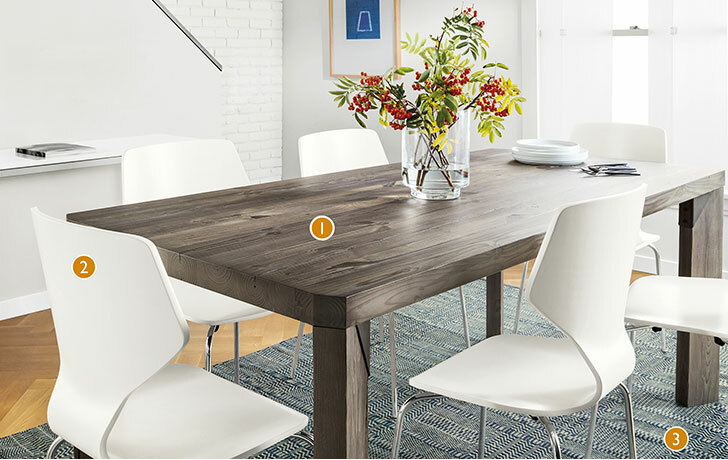 Creating a functional, modern dining room is easy. See how we combined farm table and contemporary style in this stunning dining space. 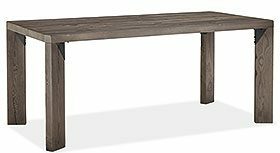 The Iver dining table offers homage to classic farm table design. It has so much texture and personality that it shines even brighter in this white, modern dining room. The height of the Pike chair is a great complement to this old-school style table. 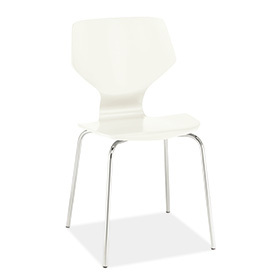 These modern chairs add just a bit of height to the room without overpowering the style or size of the table. 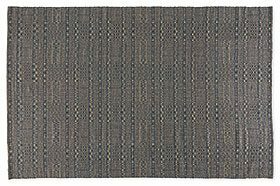 The Montage rug is made using a flat-weave technique, meaning it cleans up well, making it a perfect fit for a busy dining room or kitchen.